One of the advantages that Android has over iOS is that users have more control over their user-experience. If they are dissatisfied with the stock keyboard, launcher, music app etc., they can just head out to Android Market and download something that fits their needs. This may be perceived as Android being an OS that “doesn’t work out of the box”, but it’s more about giving users more choice. 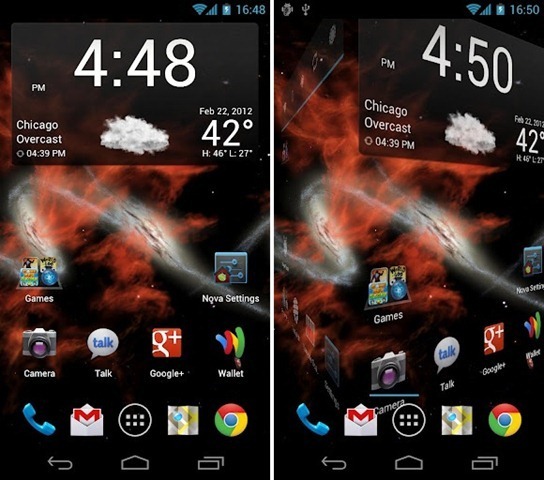 Google added a bunch of new features to Android with 4.0 Ice Cream Sandwich, including an all-new launcher. This launcher does work well, but it has a few missing features. Missing features that have been included in a brilliant new launcher called Nova Launcher that has just officially moved out of beta. Check it out after the jump! Custom Grid, Scrollable Dock, Scroll Effects, Infinite Scroll, Folder Icons, Backup/Restore, Gestures, Hide Apps, Dock Swipes, Additional Scroll Effects. We’ve tested Nova Launcher on a Galaxy Nexus on Android 4.0.3 Ice Cream Sandwich and can confirm that it works as advertised. It adds a handful of neat features on top of the stock ICS launcher that make it the launcher for ICS devices. It lets users customize the grid layout, remove the annoying ubiquitous Google Search bar, scroll infinitely, scroll dock icons so more than 4 icons can be placed there, customize how Folder Icons look like and the neatest part: backup their homescreen configuration and restore it, say, after flashing a new ROM. 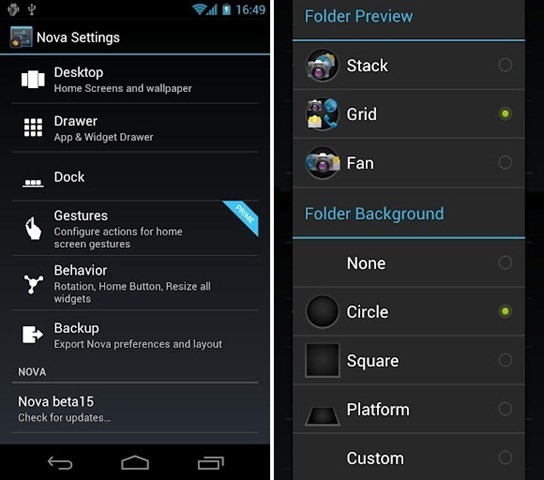 If you’re one of the lucky 1% who has Ice Cream Sandwich on their Android smartphone, don’t forget to let us know what you think of Nova Launcher in the comments section over on our Facebook and Google+ page.